Mysteries and Nightmares: Morgiana is rated 3.3 out of 5 by 44. Rated 5 out of 5 by Wunderlampe66 from Fun hidden mystery game For me it was one of the best games I was playing in the last months. It has it all what I love. Good Graphic with the colours I like, a large amount of different riddles, a lot of various places and not to easy. It was a pleasure and exciting for me to play it. I recommand this game. Rated 5 out of 5 by skullfun from A mind twister that was fantastic to play!!! 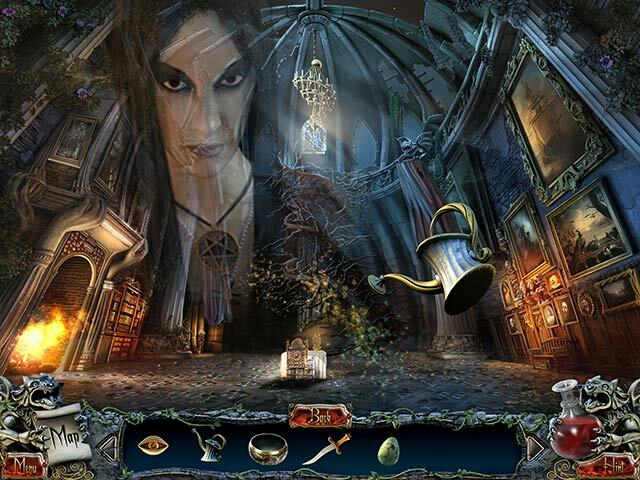 Mysteries and Nightmares: Morgiana is a hidden object puzzle adventure game where you will have unravel a mystery regarding a member of your family. A tale of two sisters The game doesn't reveal much of its story right from the start. All we know is that a strange glowing sphere roams through the town at night heading for the castle. When everybody is asleep, the sphere enters the castle through an open window and kidnaps Arabella. The young princess wakes up in a strange and abandoned room, at the top floor of a tall stone tower. With no recollection of who she is, the brave princess must use her wits and investigate the castle to find out what's going on. The abandoned castle is filled with magic, but is it really abandoned? Fires burn bright and strange voices can sometimes be heard down the long passageways. While exploring the castle, Arabella learn about her family and that she has a sister: Morgiana. It seems like the older sister has always felt jealous of the smaller sibling and with time, has grown to hate her. The quest for truth Exploring each chamber of the spooky castle means solving lots of brain-bending puzzles, and finding items in dozens of hidden objects scenes. It also means charging and using a lightning staff and talking to the dead. The gameplay is simple, just use the mouse to interact with the environment. Active tasks are show in the upper left corner of the HUD. There are lots of question without answers, but play the game and you will find out what happened between the two sisters, what is going to happen to Arabella and who kidnapped her from the safety of her own home. If you are a beginner than look at the map for subtle sparkles which indicate areas of interest. Thank you Big Fish, I loved it!!! Rated 5 out of 5 by Mibbles from Wow! What a surprise! This game took me by surprise! Lots of twists and turns; Jack was one that I didn't see coming. I only had to ask for help once when I missed finding a path. This game was as long as many CE games, and was intricate enough to keep me forging forward, not wanting to stop. The map was invaluable in keeping it all going. My hat's off to the staff who developed this, it was unlike others. Good and bad, surprises and changes...Don't let this one get by you, I don't think you'll regret it. Rated 5 out of 5 by Plientje from Oh wow, great game! Absolutely fabulous! I just finished playing this game, it took me a good 5-6 hours, great value for money for this faboulous SE!! Lots of beautiful cutscenes, which I loved. They are kind of slow sometimes, but I didn't mind at all, it enhanced the atmosphere of the game! Very good music that fits the game perfectly. The graphics are unbelievable. Enormous attention to detail and extremely mystical and haunting scenes. The storyline is very captivating and you want to know what's going to happen next and how you are going to get there! This game has a fantastic jump-map, and you can hardly play this game without it! The map shows you where there are active tasks, you see little blue sparkles in the right-bottom corner of the pictures of the scenes (some reviewers mentioned there is no indication of actions, but sadly the are wrong, they miss out on a great game). Sometimes it is not easy to figure out where to go next, and this map Always helps you out! I loved the feel of this game, haunting and threatening, but still very beautiful, nothing gray or gory. This game is quite challenging, and I loved that, the 'big' games lately are way, way, way too easy. It's strange that there are no difficulty levels, but I loved it anyway. There are sparkles on the HOS, and an occasional little sparkle in the game, that didn't bother me at all. I really had a ball with this game and hope you will too! Rated 5 out of 5 by lkbambi from Loved it I really enjoyed this game. It was just the right amount of challenge after a hard day's work. The hints can be frustrating but that is what the forum is for. Just makes one have to think a bit more. I recommend it. Rated 5 out of 5 by grannieshirl from A worth while game to play! I found this to be a easy game to get around in and do the different task. Enough of a challenge to make it interesting to play! Rated 5 out of 5 by cococooon from I really liked it! I like the storyline and the variable locations (the abandoned castle, the beautiful jungle, the frozen underground, the world full of volcanos and lava). Really cute is that little mouse – Jack. 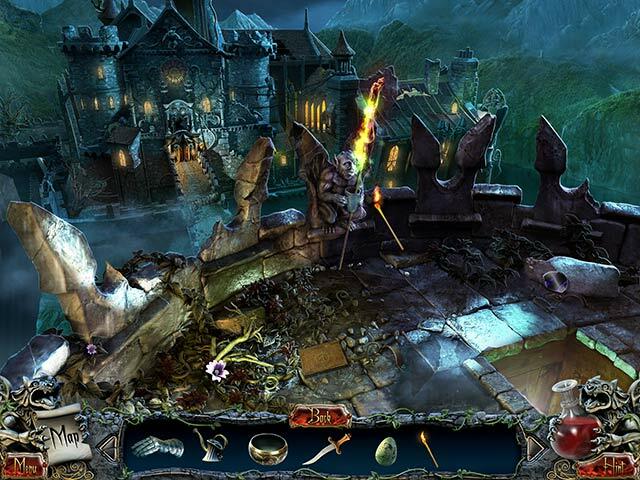 I found interesting using magic and spells to solve the puzzles and mini-games. Map, task list and help are without any problems. This game and especially its graphics really touched me. Something in this game is just a little bit different (in a positive way). I really liked it! Rated 5 out of 5 by blanche666 from Great game! I really loved the game! The visual art is great and the story progress very well. I liked the "sorcery settings" it wasn't too scary, but it was very believable. The movies are great quality but sometimes a bit too long, fortunately they can be skipped. Hidden object scenes are mostly "list" but there is always something you need to do in the scene to get all the objects. And I really loved Jack the Mouse! I bought this game and its very nice surprise, highly recommend it. Rated 5 out of 5 by tyyllls from good, solid SE game As soon as I saw the opening graphics, I knew this would be a good one. Then I began to play and it looked so familiar! I remembered then that I had done the beta of it, and it was one I had been anxious to play for real. This is one of those SE little gems that have been some of my most favorite games. Hidden object scenes are fun, and interactive. Graphics are great. The map shows where you are and which scenes are completed and which have active objectives to do. The hint could be better, but with the map it's fine. The cut scenes are 'slow' I guess, but I like them- fun to watch and part of the overall story. I bought it right away once I started playing and am happy I did! Give it a try! Solve the mystery of an abandoned enchanted castle! 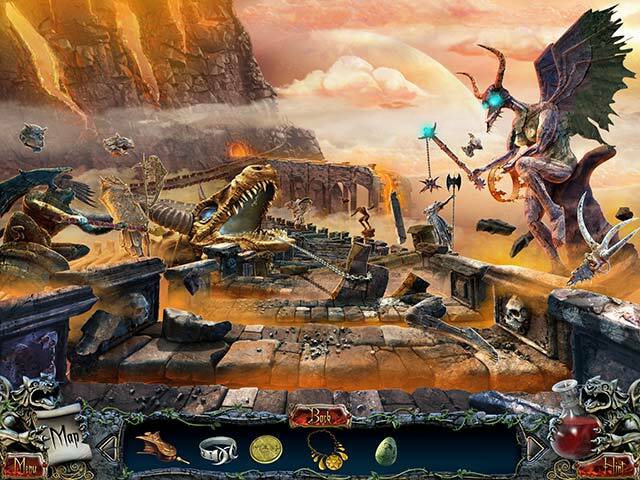 Search for clues within its ancient underground and seek portals to different worlds.